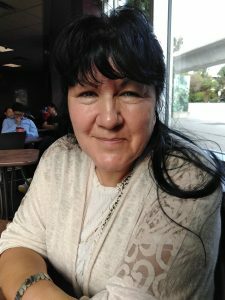 We are thrilled to announce that Trinity Vision Seeker (formerly known as White Elk), a gifted grandmother/ healer from the Cree/Salteaux Nation,will visit us for a special evening of love, truth and wisdom on Thursday October 18th, from 7.30 to 9.30 p.m. in the Central Hotel, 1-5 Exchequer Street, Dublin 2. Hearing your messengers from the Other Side of the Veil … do you trust them? Circles beyond circles: what ripple of energy are you creating? Core: is it your belief system, or is it something deeper that is connected to the universe? Trinity: the symbol of Love, Peace, Balance – the connections that are weaved through time. Join us for a truly consciousness-expanding evening! To book your tickets, click here. After her evening with us, Trinity Vision Seeker will be leading an inspirational workshop with fellow teacher and healer, Unity Star, on the 20th and 21st of October in Oranmore, Co. Galway, followed by one-day workshops in Northern Ireland on October 27th and Co. Waterford on October 28th. For all details, just click here. Wild Sage Bakery: Sweet and Savoury Treats Galore!